"Psychological Trauma and the Brain: How Aversive Events Affect How We Respond to Our World"
All estimates suggest that psychological trauma is an experience that has occurred in at least half of the American adult population. How do these extreme stressors affect the brain, and how does this change the way individuals experience the world? 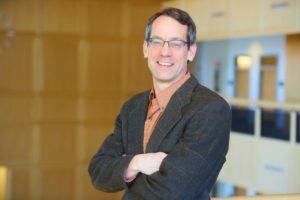 In this talk, Matt Kimble, Professor of Psychology at Middlebury College, will address questions such as: What happens to the brain under extreme stress? Why are some individuals affected more than others? What are the possible long-term effects and can they be reversed? This talk is sponsored by the Middlebury chapter of the American Association of University Women.